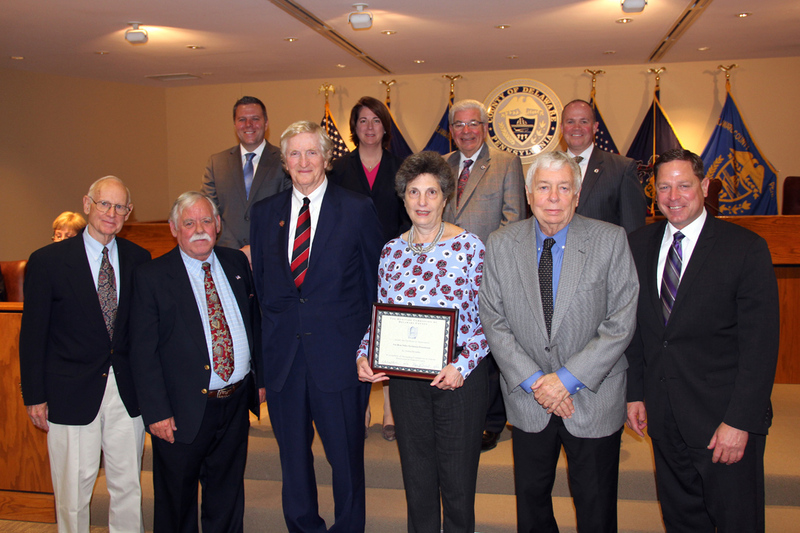 On May 4, 2016. the Delaware County Council and the Heritage Commission of Delaware County for Preservation Planning. This award recognized our efforts from the Rose Valley Historic District’s inclusion on the National Register of Historic Places to our current work on Thunderbird Lodge. Attending the ceremony were (front row l to r) RVCF Treasurer Paul Schregal, President of the Heritage Commission Rich Paul, RVCF President Tim Plummer, RVCF Board member and award application submitter Andy Detterline, RVCF VIce President Chip Essick, Delaware County Councilman David White (back row l to r) County Council members Michael Culp, Colleen Morrone, Mario Civero and John McBlain. On April 10th The Rose Valley Museum and Historical Society held its first official event in Thunderbird Lodge. Sue Ann Keilbaugh, a member of the Board of the RVMHS who lived in Mrs. Stephens’ studio when that space was an apartment, gave an informative and entertaining lecture on Rose Valley’s most famous artist’s life and career. 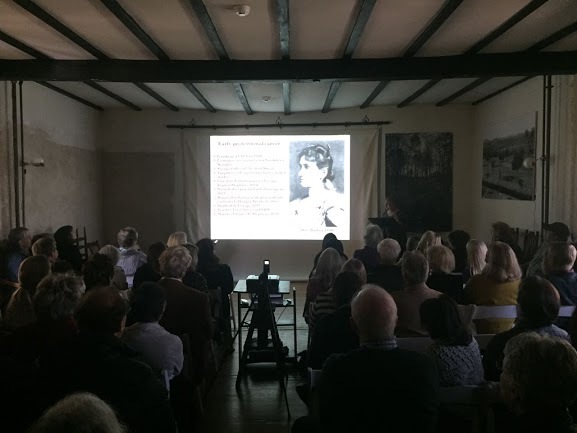 A capacity crowd of 60 people enjoyed Ms. Keilbaugh’s presentation on Alice Barber Stephens projected on the RVMHS’s new oversize canvas screen hung from wrought iron that would have made Will Price proud – making something functional beautiful at the same time. The RVMHS’s booth was donated by show director Bruce Johnson. The Foundation thanks Mr. Johnson, a respected author and publisher of Arts and Crafts Collector, for his support of our mission. Members of the RVMHS will man the booth for the weekend getting the word out to thousands of serious collectors and historians about the restoration of Thunderbird Lodge and the future Rose Valley Museum. Hit it out of the park guys! On Sunday April 10th, Sue Keilbaugh will present a lecture on Alice Barber Stephens – in Mrs. Stephens studio – which Ms. Keilbaugh lived in when that studio was a rental apartment. How cool are all those Thunderbird Lodge connections?! To prepare for this event, the Rose Valley Centennial Foundation is about to start renovations on the first floor studio. Those renovations will include the removal of the half-wall partition, the closets, and the kitchen peninsula. The Alice Barber Stephens Lecture is just the first of the programs that the RVMHS has slated for Thunderbird Lodge. On October 16th the RVMHS will host a Life Drawing Class in Thunderbird Lodge. Accomplished artists will work in Charles Stephens studio with the Plastic Club, an organization founded by a group of Howard Pyle’s students including Alice Barber Stephens, that was intended to further career opportunities for female artists. The lower studio class will be lead by the Wallingford Community Arts Center and will be appropriate for beginning and intermediate art students. In November, the RVMHS will present Stained and Leaded Glass and its Importance in the Arts and Crafts Movement. Become a member of the Rose Valley Museum and Historical Society to receive information on all the RVMHS members-only tours and events. And stay tuned here for updates on the Rose Valley Centennial Foundation’s progress on renovating Thunderbird Lodge. The Rose Valley Centennial Foundation was fortunate to have had many excellent applicants to live in Thunderbird Lodge in exchange for maintaining the house and grounds. After extensive interviews and considerable deliberation, The Board has selected Meg Rumsey-Lasersohn and Ben Davidson to become the first caretakers of Thunderbird Lodge. 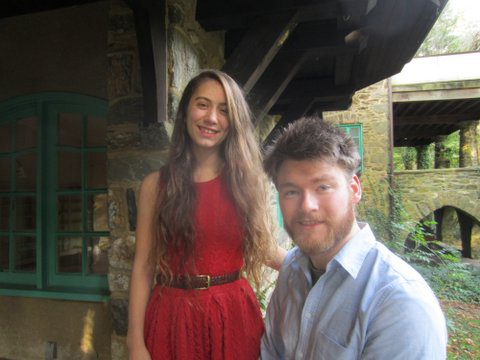 Meg and Ben met while students at Bennington College in Bennington, Vermont. Meg grew up in Upper Providence Township and attended The School in Rose Valley. She is now an actress and a part-time nanny. 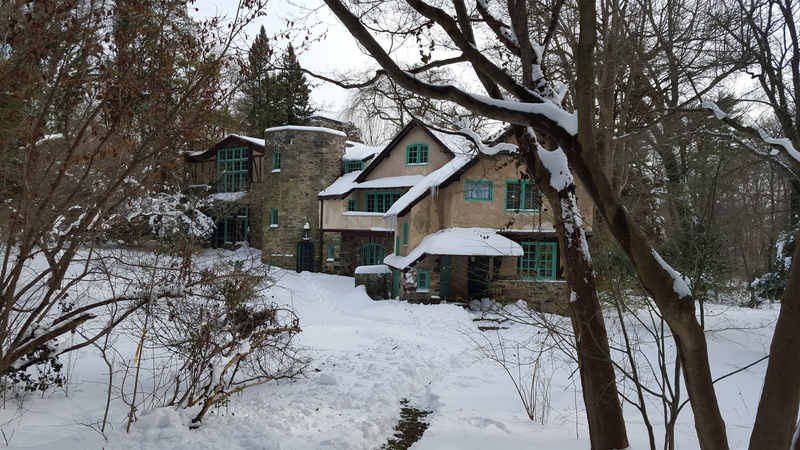 Ben is originally from Lake Forest, Illinois, where he worked as groundskeeper and handyman at Ragdale, the country home of architect Howard Van Doren Shaw, a leader of the American Craftsman movement. Ben is the Guest Services Associate for Pendle Hill and is considering pursuing a PhD in history. Guess he may have found the perfect subject for his dissertation if he does. The Once in a Lifetime Tour was a rousing success! Our Once in a Lifetime Tour was a rousing success. We were overwhelmed with requests for the $50 tickets in support of the Rose Valley Centennial Foundation’s efforts to renovate Thunderbird Lodge and provide a permanent home for the Rose Valley Museum and Historical Society, and had to shut off reservations days before the tour for fear we would not be able to accommodate the crowd. More than 400 people joined us for the event, braving sun then sleet then sun then rain then sun again. It was a wonderful day. See photos of the event and read more about Thunderbird Lodge here. ROSE VALLEY, PA – July 16, 2015 The Rose Valley Centennial Foundation, a non-profit organization dedicated to preserving the “magic” of Rose Valley, has just agreed to accept Thunderbird Lodge, a building inextricably tied to the history of the Arts and Crafts movement in America, as a gift from the Olmsted Family Trust. Thunderbird Lodge has been listed on the National Register of Historic Places since 1989. Thunderbird Lodge is central to both the geography and the culture of Rose Valley. The Rose Valley Centennial Foundation plans to partner with the Rose Valley Museum and Historical Society and other Rose Valley organizations to create a museum and center for the study of the local Arts and Crafts heritage in the years ahead. 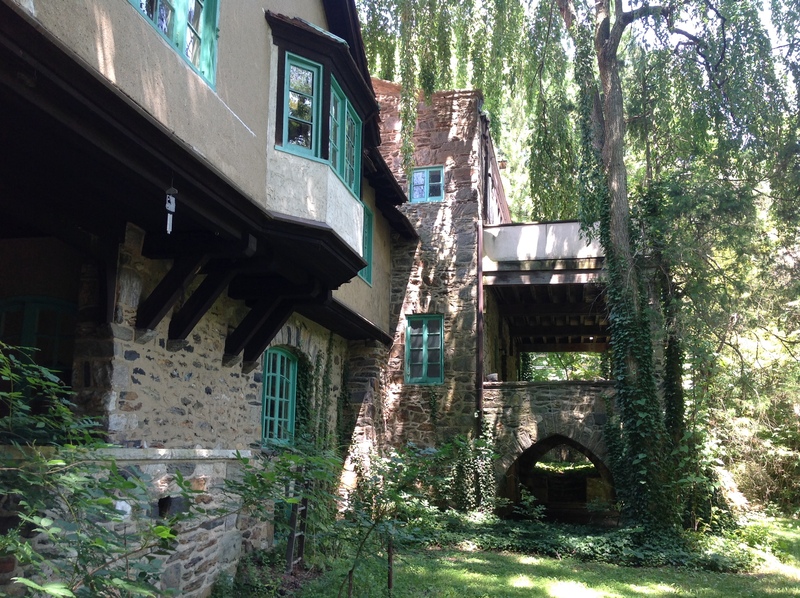 Architect Will Price started a utopian community of artists and artisans in this former mill town in 1901, setting up a workshop for craftsmen in a former mill and renovating existing millworker’s housing in the Arts and Crafts style. Among those who were attracted to Price’s Rose Valley were Alice Barber Stephens, a highly successful illustrator and artist, and her husband, Charles H. Stephens, a painter and collector of Native American art. In 1904, Price created work spaces for each of the Stephens by converting a 1790’s stone barn into two large studios and also constructed a fieldstone and stucco appendage to serve as their home. 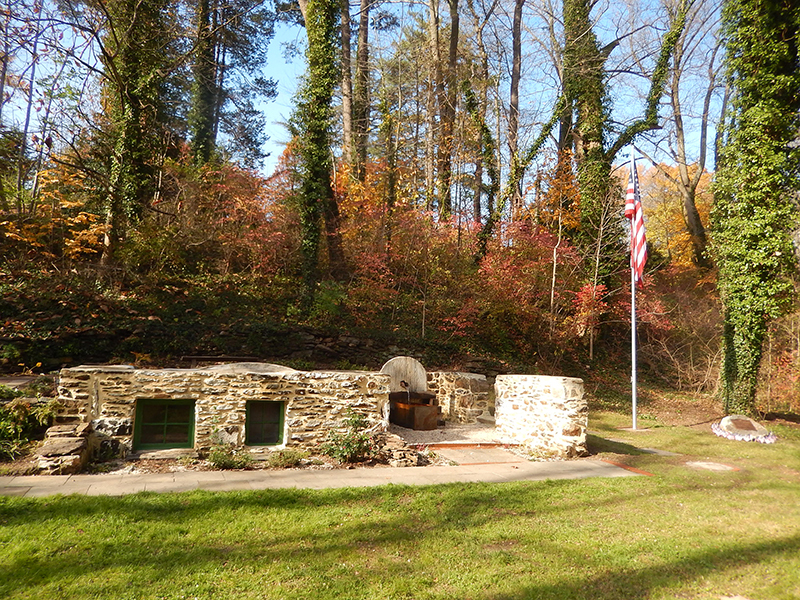 Price designed the fireplace in Mr. Stephen’s studio in the shape of a Thunderbird, an icon of many Indian nations, and incorporated the Thunderbird design in Mercer tile into the stone wall facing Rose Valley Road. The building has ever since been known as Thunderbird Lodge. 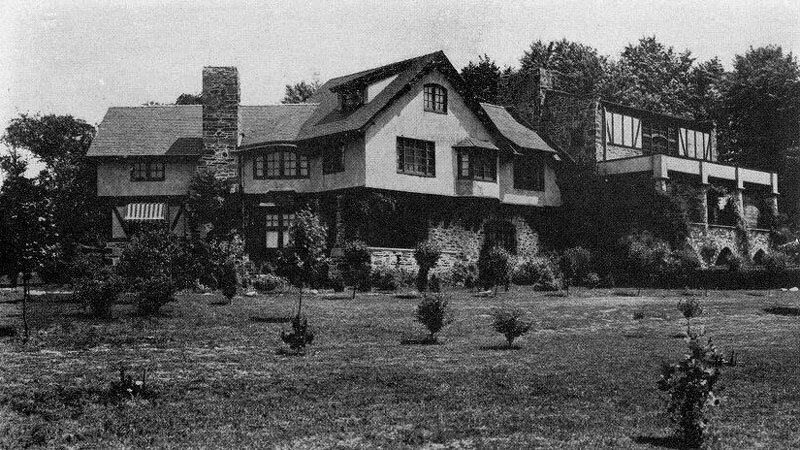 Following the Stephens’ deaths, Thunderbird Lodge became the home of Allen Olmsted and his wife, noted social activist Mildred Scott Olmsted. Mrs. Olmsted was the sister of Adele Saul, who already lived next door in Rose Valley with her husband Maurice. Both Mr. and Mrs. Olmsted were nationally known for their work on civil liberties, civil rights and world peace. When Mrs. Olmsted died in 1990 at the age of 99, her will provided that, if her descendants no longer wanted to live in the house, her trust would offer Thunderbird Lodge to a 501(c)(3) charitable organization to maintain it as an historical landmark in perpetuity. 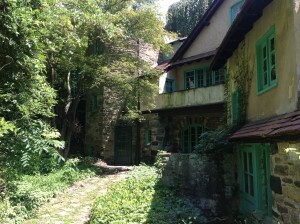 The Olmsted Trust offered the property to The Rose Valley Centennial Foundation and, after many hours of due diligence and intial planning on how it could fund and utilize Thunderbird Lodge, the Board of the Rose Valley Centennial Foundation agreed to accept the gift of the two-acre property. The Board is continuing to develop plans for funding and maintaining Thunderbird Lodge as well as developing a program for its eventual improvement. This may take many years to complete. 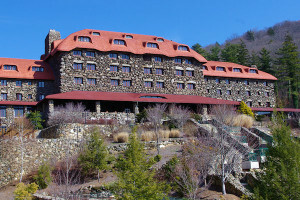 Over the decades the Olmstead family has been an excellent steward of Thunderbird Lodge. As a result, It is in far better shape than many of the other historic structures in Delaware County that other municipalities and charitable organizations have managed to save and sustain. The Rose Valley Centennial Foundation is governed by a 12-member board of directors made up of Rose Valley residents. It was founded in 2013 to assist in perpetuating the “magic” of Rose Valley now and into the next century by supporting initiatives that beautify our natural environment, keep our history alive, build on our unique sense of community, and promote resident participation and volunteerism. Its first project was the creation of the Rose Valley Heritage Garden and Veterans Memorial at the Gatehouse ruins on Old Mill Lane. That project, which was completed with funds raised by RVCF, was dedicated last fall. 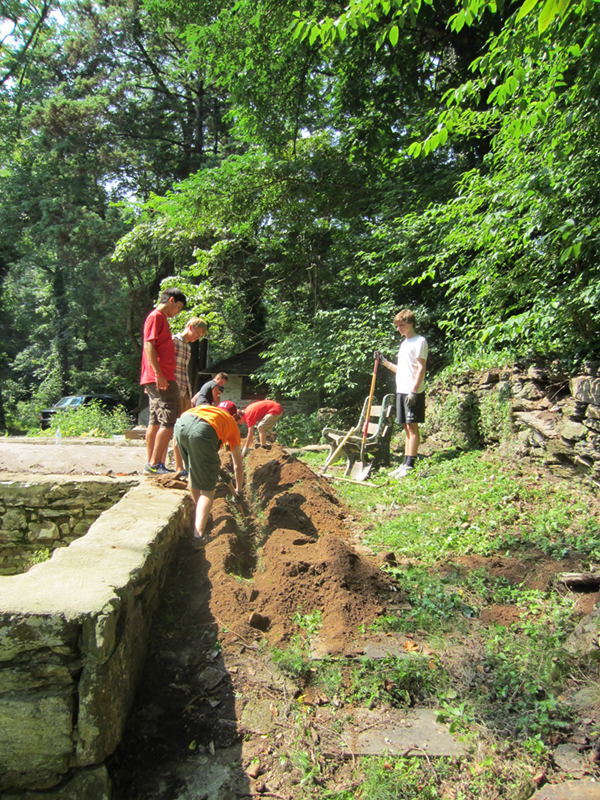 It brought together many of Rose Valley’s existing organizations and will be further improved this summer with two additional Eagle Scout projects. News of the unfolding plans for Thunderbird Lodge will be posted on the Foundation’s website at https://www.rosevalley100.org/ For more information contact info@rosevalley100.org. photos by C Brian Killian all rights reserved. Our First Project Is Complete! 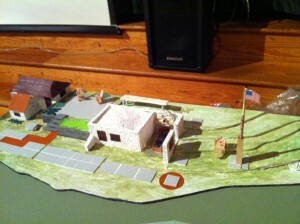 The first phase of the Rose Valley Heritage Garden and Veterans Memorial was completed and dedicated on November 9th. We are making progress on our project! The Boy Scouts trenched to get power to the future fountain. Thanks to Dan Seifrit of Seifrit Electrical Associates of Wallingford for donating his time to do the electrical work at the gatehouse. The Environmental Advisory Council tagged and removed the invasive plants from the banks of Vernon Run resulting in a huge pile of debris, which was chipped up and carried away by Jim Carney of Carney Tree Company of Media. We appreciate the help of these area businessmen in helping the Rose Valley Centennial Foundation complete our first project. And thanks to the current and former residents who have already made a donation to the Foundation. Please see our happenings to date below. 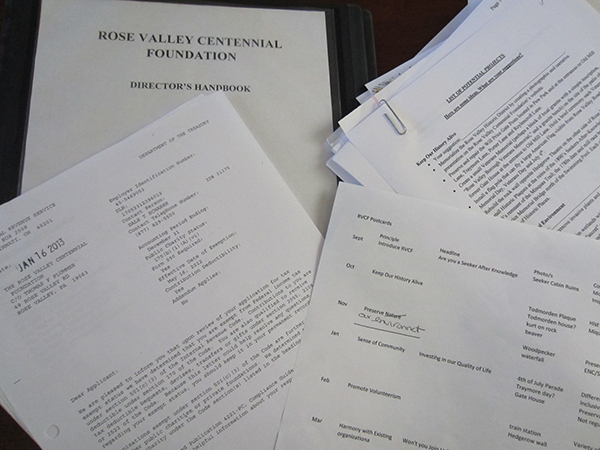 The creation of the Rose Valley Centennial Foundation has been in progress for over three years. We are now a Pennsylvania non-profit organization with an active Board of Directors and Bylaws. Stay tuned as we tell you more about our group of your neighbors who are investing their time, talent and personal funds to help keep the “magic” of Rose Valley alive.